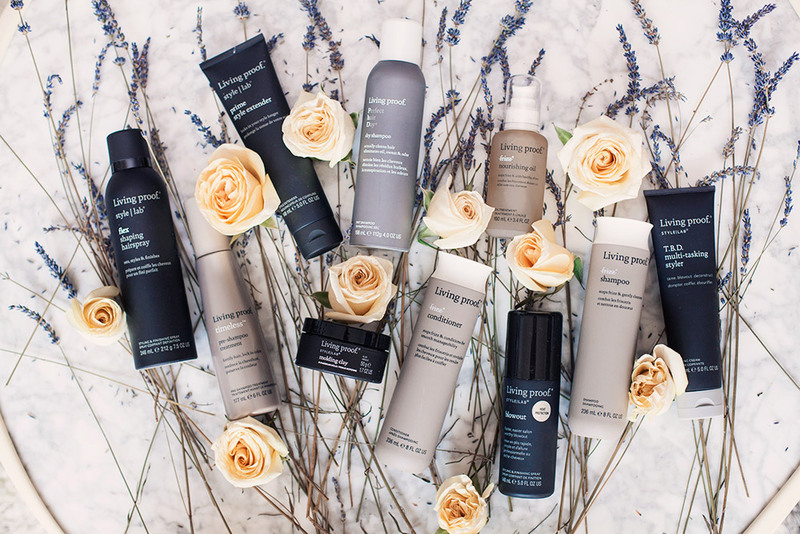 When it comes to our hair, we have so many options when it comes to getting it just right. If time and money were never an issue, we’d be in the salon everyday making sure our hair is perfect with the perfect blowout. Unfortunately, at least for most of us, it is simply not possible. The task is on ourselves to get our hair prepared. 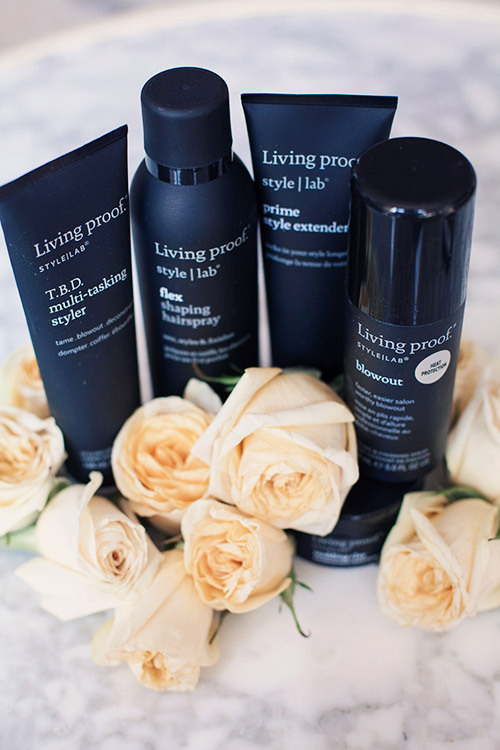 If you aren’t already familiar with Living Proof, they provide impeccable hair care products that defy the norm. 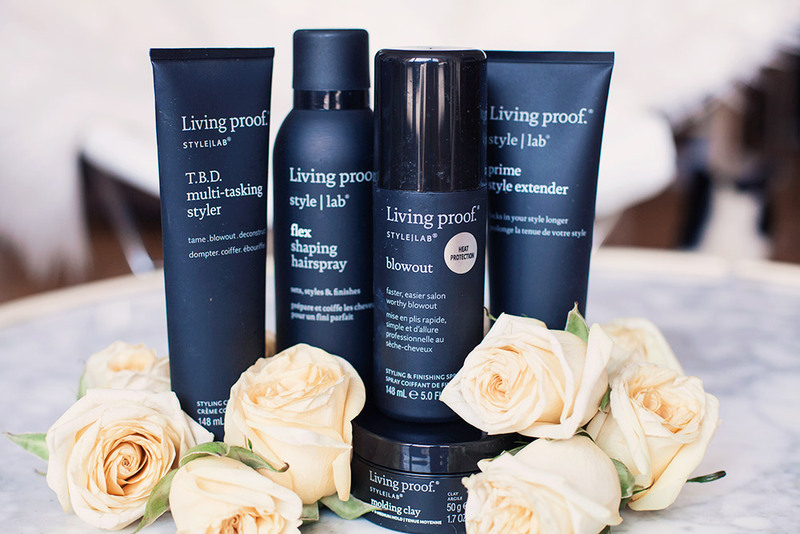 Living Proof uses science and patented technology to offer us a better option. Say goodbye to the days of heavy silicones and stiff resins. Our goal should be healthy and long lasting hair, right? One of my most frequent visits to the salon is for a blowout. It is a great way to get your hair refreshed and looking great in a reasonable amount of time. However, I typically don’t have the time to sit in a salon so I needed to find a product that I could rely on and perform for me each time. Not too mention of course, the costs of those salon visits add up quick. 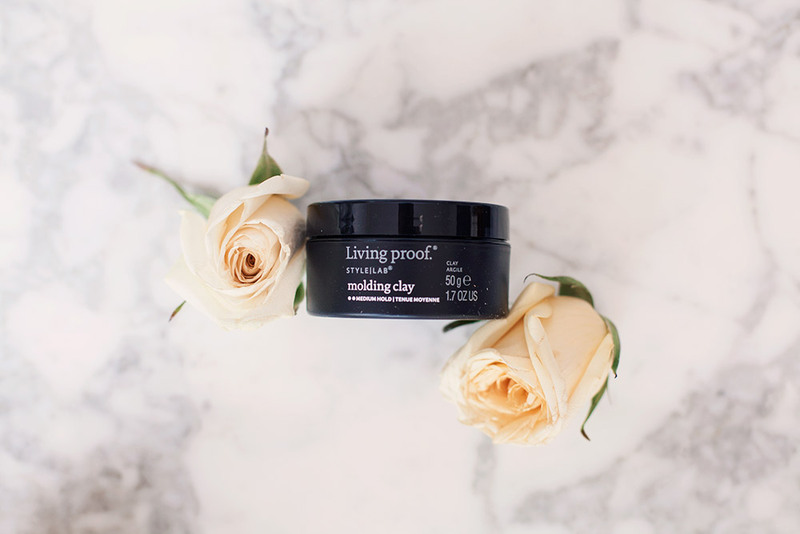 Fortunately, Living Proof came up with a product that provides an in-salon result that you can achieve right from your home. 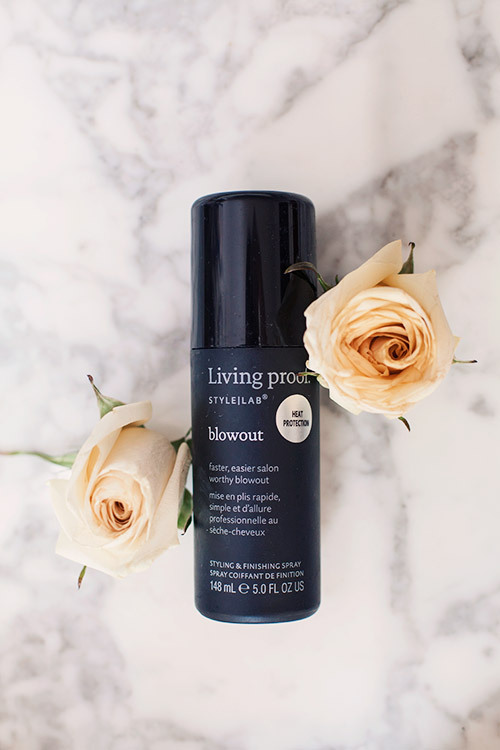 The Blowout product from Living Proof has made my life so much easier when it comes to blowdrying my hair. It’s lightweight, touchable, and repels style-destroying humidity and dirt. Particularly here in NYC, that last part is key for me since I’m running around the city all day. Your hair can feel dirty(not to mention the rest of you) and being able to have a safe, quality product that keeps your hair clean is a game changer. It has saved me so much time and with Sebastian, any time I can save is huge. We all know that getting ready is no small task and takes quite a bit of time. The Blowout is powered by their breakthrough Thermal Speed-Shaping Technology. It helps create a faster, easier more professional looking blowout, delivers just enough grip with flexible hold, creates brush detail that shapes & holds your style, cuts the number of brush strokes needed to style by 30%, locks in all day, provides heat protection and can be used alone or layered with your favorite leave-on conditioners and stylers. 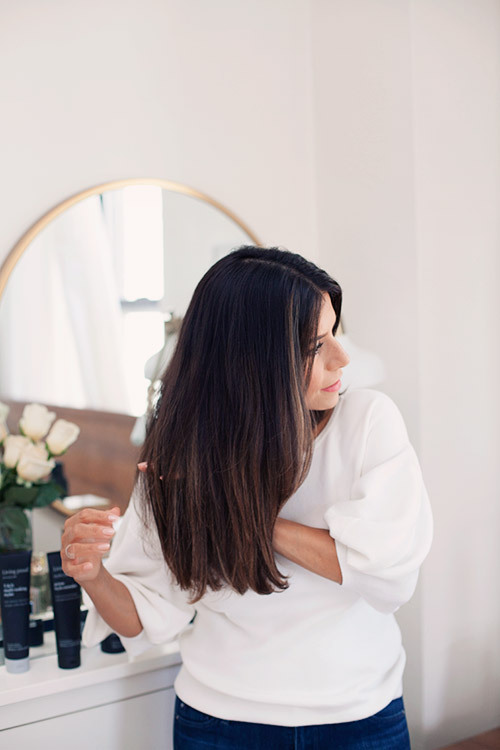 Step 1 – to get the perfect blowout, it’s important to start with a fresh shampoo and condition. I like to add conditioner all over my hair, but I focus on the end of my hair. This helps seal in the moisture and shine! Step 2 – the nourishing oil is one of my favorites to use on wet hair and after blowing out my hair. It gives my hair a nice shine and takes away any frizz. Step 3 – I also apply the Prime Style Extender for a base to styling my hair. 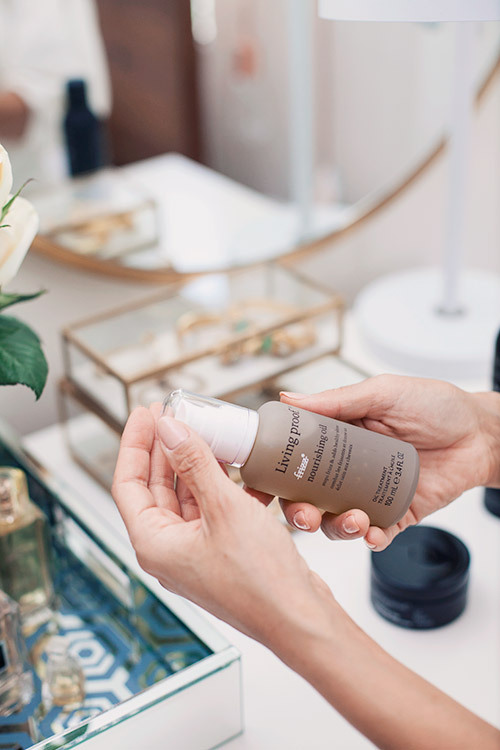 It’s important for me to apply a lightweight product to my hair, this also helps beat the heat and battle any moisture in the air (which creates frizz). Step 4 – separating hair into sections, apply Blowout product to each sections and begin drying my hair. What I love about this products is the speed-shaping technology. I have incredibly thick hair, so this gives me the ability to dry my hair quickly, while giving my hair a flexible hold while styling. Step 5 – after blow drying all sections of my hair, I apply the T.B.D. multi-tasking styler to give my hair shape and create any loose waves for those days I don’t use a hot iron. Step 6 – I finish off my hair with Flex Shaping Hairspray to hold shape and any curls (if using a curling iron). I also like to use Molding Clay for any flyaways and baby hair for a more polished blowout. 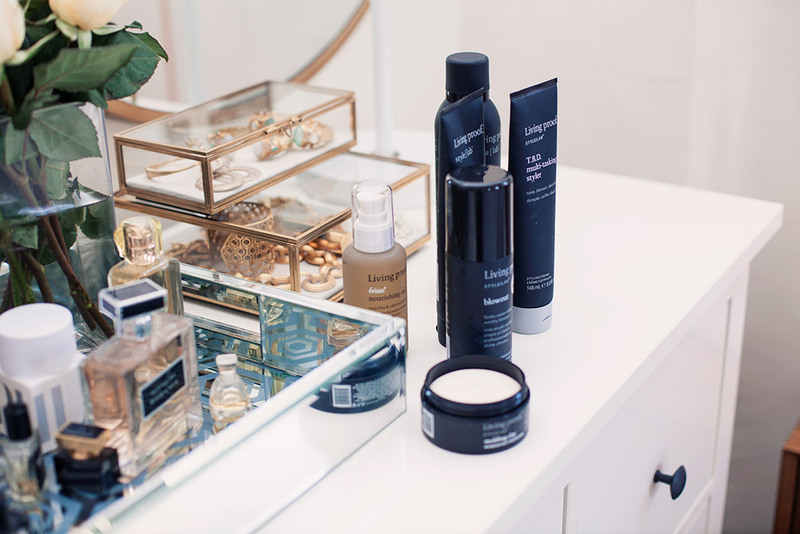 They have so many great products that make up The Style | Lab collection. It’s effortless style combined with cutting-edge science. Between the business and Sebastian, I have such limited time. The fact that Living Proof is able to provide solutions across the spectrum is so valuable. I want to touch on one of my other favorites and you can check out the entire line below. 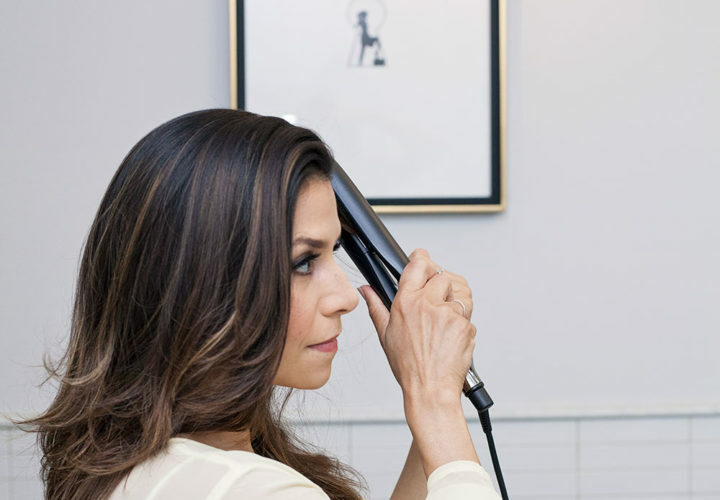 This is key to creating a professional looking blowout. It will create a faster and easier drying experience and give you long-lasting results. This will lock in the shape of your blowout. The mist also provides heat protection up to450°F , which is key when drying and ironing my hair daily. What’s great is that it’s lightweight and can be layered with other products without making your hair feel heavy and tangled. The Style Lab T.B.D. 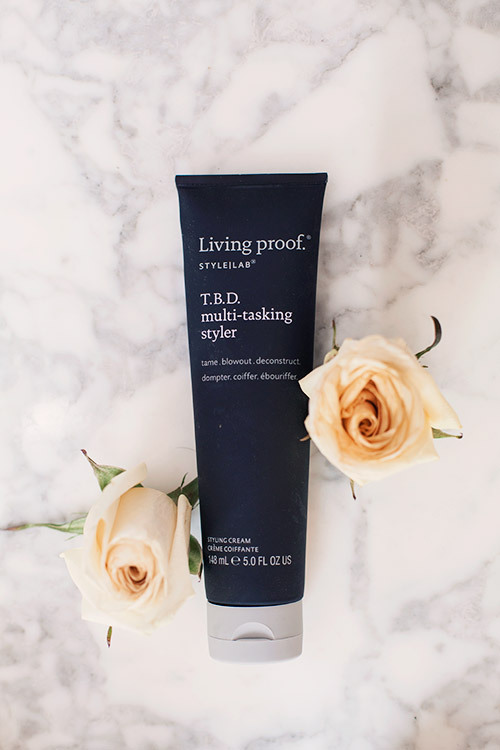 Multi Tasking Styler is versatile enough to work on both damp or dry hair. 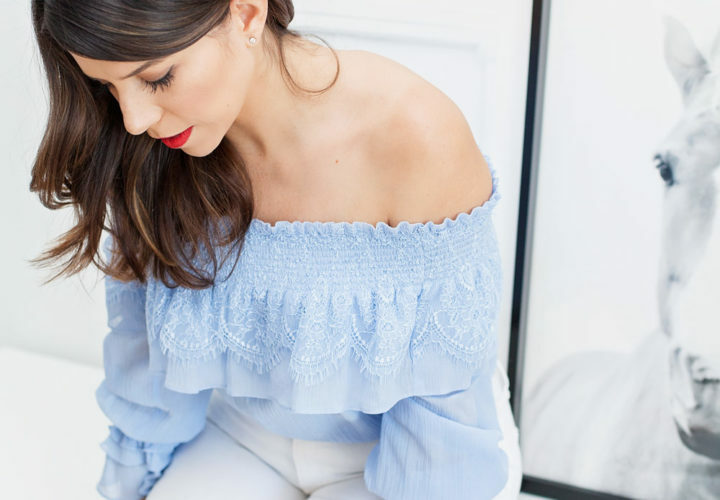 It gives you the freedom to wear your hair in different ways; tame and manage, create a polished blowout, or a deconstructed second-day hair look. Now for a little science talk. Their Healthy Hair Molecule and versatile styling emollient blend work together to give an easy spreadability and at the same time, provides smoothness, control and enhanced definition. It’s silicon-free, protects against the heat and is formulated for color and chemically treated hair. 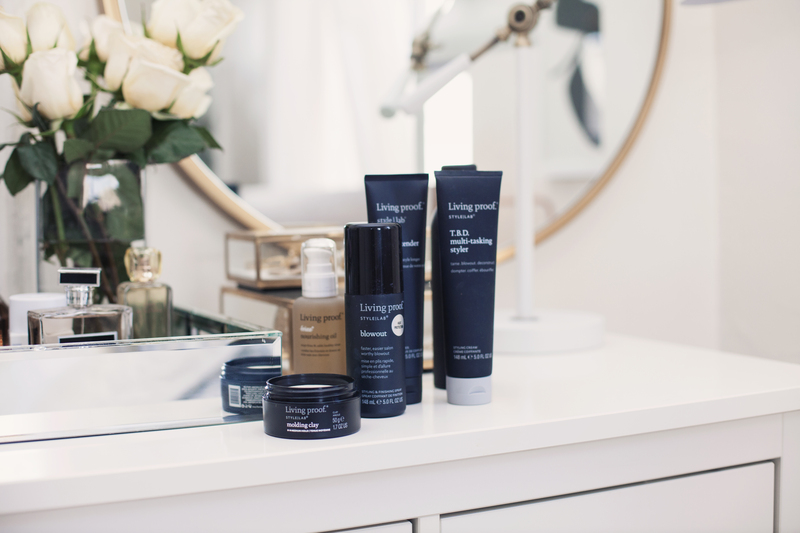 This is one products that I never go without while creating the perfect blowout. After getting out of the shower, I use a small amount and apply all over my hair. This gives my hair a good base and gloss to start the blowout phase. The other crucial time for me to use a nourishing oil is after completing my blowout. Instead of applying all over my hair, I apply to the back (which get the most frizz) and ends of my hair. This leaves my hair looking soft and smooth. 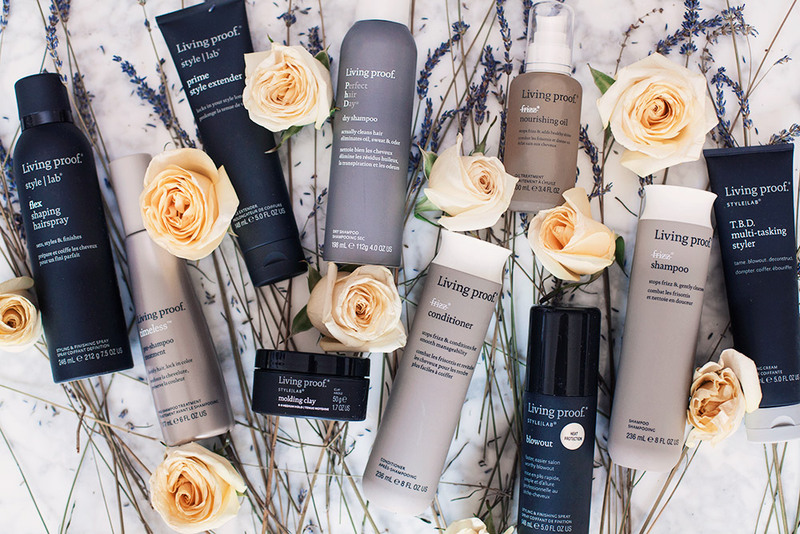 Whether you need a little more time in your day or simply love great hair care products (or both), Living Proof offers us a line that will simply make your hair look and feel amazing. Would love to know what your favorite product is from the line! Thanks to Living Proof for sponsoring this post. Thank you so much!! Glad you like Living Proof!! The nourishing oil is #1 in my book.